The Sunset Coast Trolley Company is Southwest Michigan’s newest wedding and special event transportation. 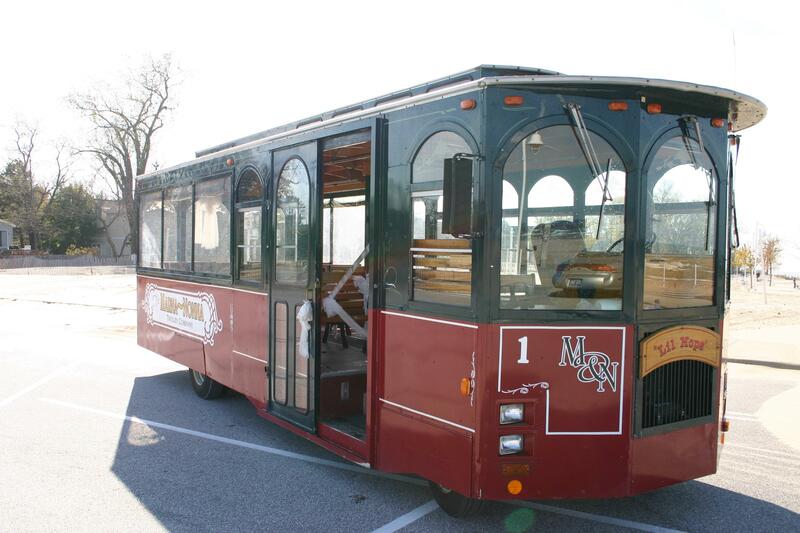 Our first acquisition is the Marna-Nonna Trolley (pictured left), which has been providing wedding party trolley transportation in St. Joseph and surrounding areas for several years now. See and be seen in our elegant and stately trolley during your special event. Sunset Coast Trolleys are a great way to travel to wine tours, corporate outings, birthday parties, and weddings! To learn more about how you can have a Sunset Coast Trolley at your special event, please request the trolley for your event here or give us a call at (888)785-6377. The Sunset Coast Trolley Company provides a completely unique way to travel for weddings, wine tours, birthday parties, and corporate events. Stress free, safe transportation, spectacular photo opportunities, alcohol is allowed on board, no lost party members, and much more!